Located off the Atlantic coast of northeast Florida, Amelia Island is an idyllic family friendly holiday destination well known for its luxury Amelia Island vacation rentals, breathtaking beaches, pristine waters and numerous water-sports activities. For those who are getting tired of frolicking on the beach and want to look for other Amelia Island things to do, you can experience a relaxing day of fishing in its serene backcountry waters filled with a diverse range of marine life. 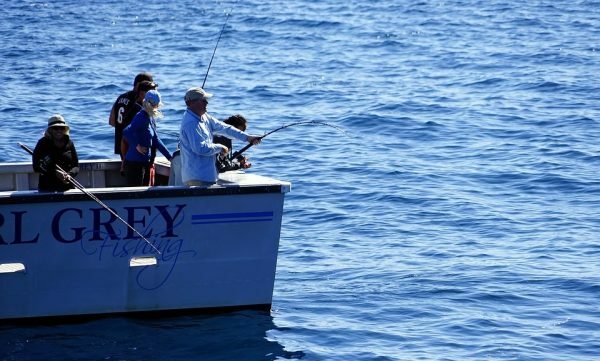 Amelia Island is a true fishing haven for aficionados, hobbyists, and beginners alike. What better way to do just that than to book a fishing charter. Because since you are on vacation, you would be better off leaving all the planning and organizing to experts. You don’t have to buy your own fishing gear as their rentals are usually cheaper, if not for free, depending on your arrangement with the company. You don’t have to spend time getting your license and going from one place to another, getting everything from different stores. Many fishing charter companies typically arrange everything you’ll ever need for your trip, from getting your fishing license to lending you fishing gear, including all bait, ice, rods, reels, tackles, and coolers. You can focus more on bonding with your family. Fishing is a family-friendly activity and it is best enjoyed spending a nice and relaxing day out in the water with your family (or friends) without worrying about mooring the boat, finding the fish hotspots, or fuel costs. You get to enjoy a nature and wildlife tour after a day of fishing. If you’re starting to get sea legs, you can take advantage of the nature and wildlife tours that most fishing charter companies also offer. You will be able to enjoy the sights of herons, egrets, ibis, roseate, otters, manatees, dolphins, oystercatchers, skimmers, and white pelicans amid the stunning scenery. You could also get to see the wild horses running on the sandy beach of Cumberland Island. You learn more about fishing if you’re a newbie. The good thing about booking a fishing charter is that the captain or staff can impart knowledge about where to find the fish, what’s in season, and if there any size restrictions for a certain kind. Not only do they help you sharpen your fishing skills and knowledge, but they also teach conservation practices. At Angel’s Mark Fishing Tours there is a 22-inch Angler Grande Bay boat that is equipped with depth finder/GPS, rod holders, glove box, tackle centers, and VHF radio and antennae, making it ideal for fishing trips and sightseeing. It can accommodate up to six people. Call (904) 557-1027. AC Charters has been providing fishing charters and sightseeing trips for more than 35 years. They have boats for onboard, offshore, and fly fishing. Call (904) 261-2870.